Where to head when you want to enjoy a cocktail skyward. With temperatures soaring in Auckland, there is only one place to find true solace. You'll find them dotted around the city, providing views, shade and best of all, ice-cold beverages. 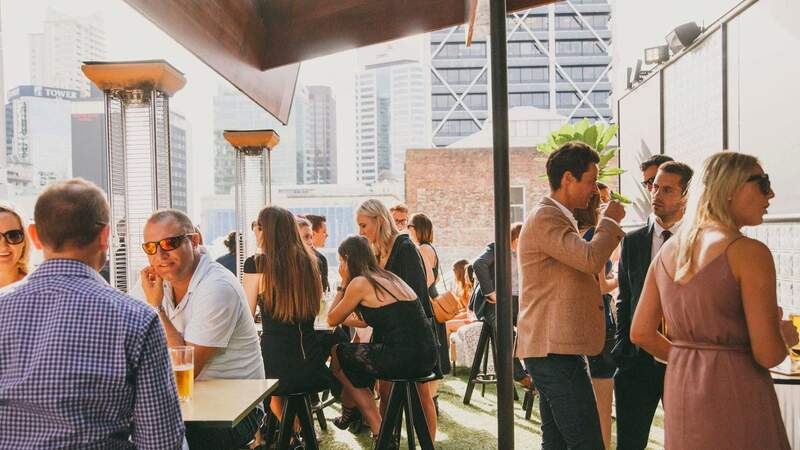 Letting you chill out and take advantage of the sun, the good old rooftop bar session is a true sign of summer. Here's where to head when you want to enjoy a cocktail skyward. 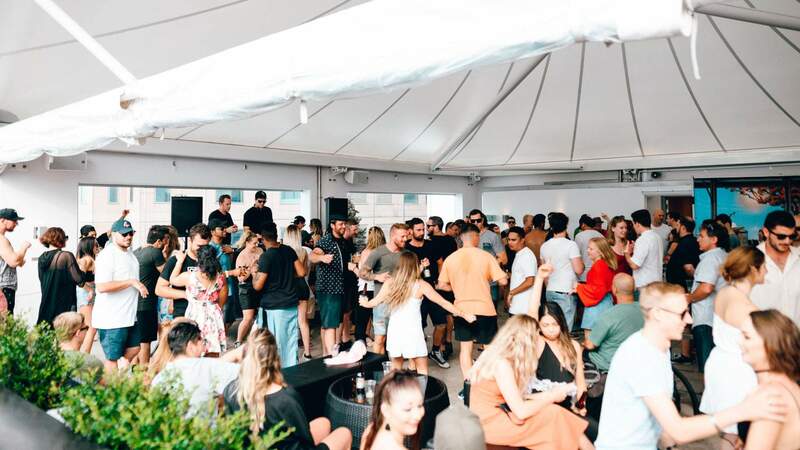 The newest addition to Auckland's rooftop bar scene, HI-SO is the 16th floor bar of the freshly opened SO/ Auckland hotel. Located on Custom Street East, it's the perfect place to catch a drink before dinner or party late into the night. With quirky decor designed with the help of WORLD's Benny Castles and fantastic views across the harbour, this is the sophisticated spot to summer right. 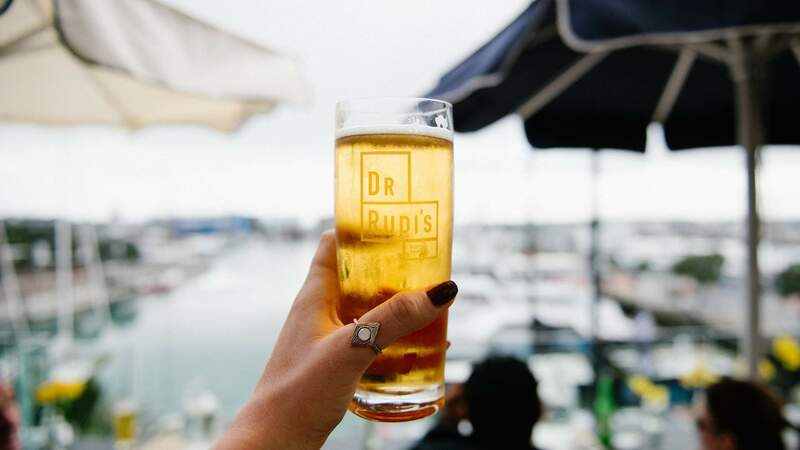 Dr Rudi's has become a staple Auckland summer bar in the last two years. And with a big balcony overlooking the Viaduct, delicious house beers and an indoor bowling alley, there's no doubt as to why. Your only issue will be battling with the hundreds of other Aucklanders who love this bar. 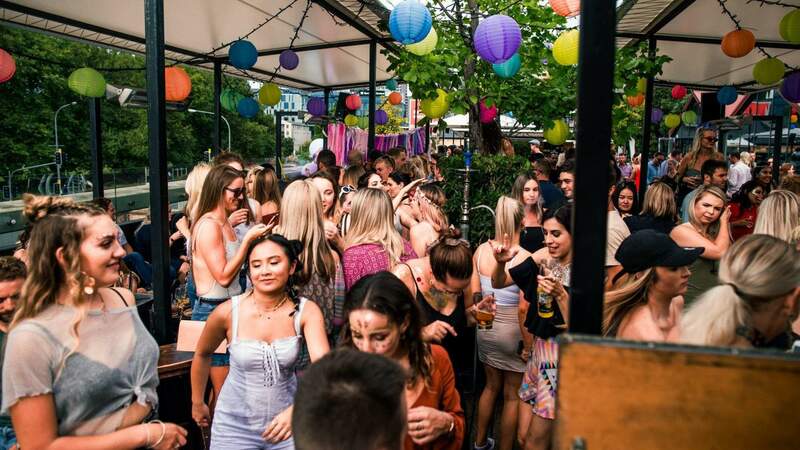 Tucked behind Victoria Park Markets, this gem has become particularly renowned for its Sunday sessions. 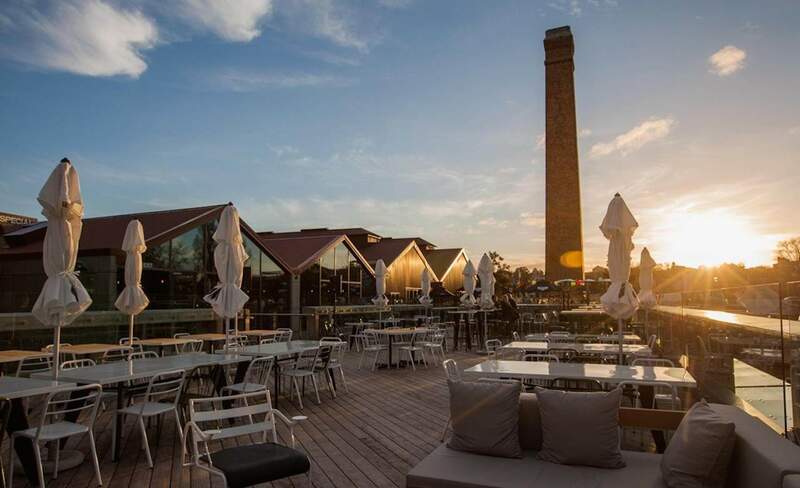 The deck is a great place to look down on all the action in Victoria Park while sipping on something crisp and sampling one of their delicious Mediterranean-inspired dishes. Lively yet relaxed, it's the perfect good vibes destination. 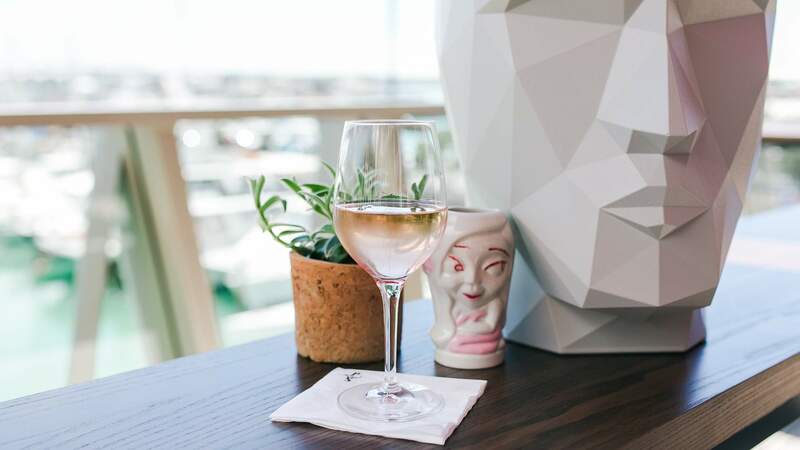 If you're after something a little more high-brow, The Deck at Ostro will deliver. They have all the things summer should be made of; seafood, sea views and spritzers. 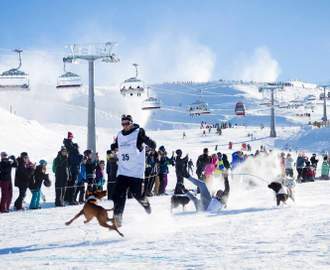 They often have events and live music on too, making something good even better. Another newer addition, The Good George Craft House opened its doors in Mission Bay just in time for summer. Depending on your age, you'll remember this as the location where Reef Bar or Rickshaw Eddies once sat. Good George boasts a large balcony that allows you to sip your beer while taking in the water and the goings-on of Mission Bay. 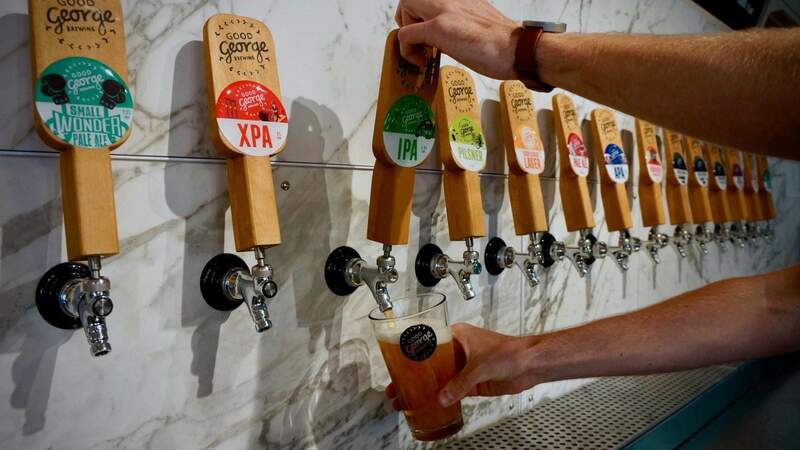 The bar has 18 taps including the core Good George range of 11 beers and ciders, and another five rotating specialities at any time. 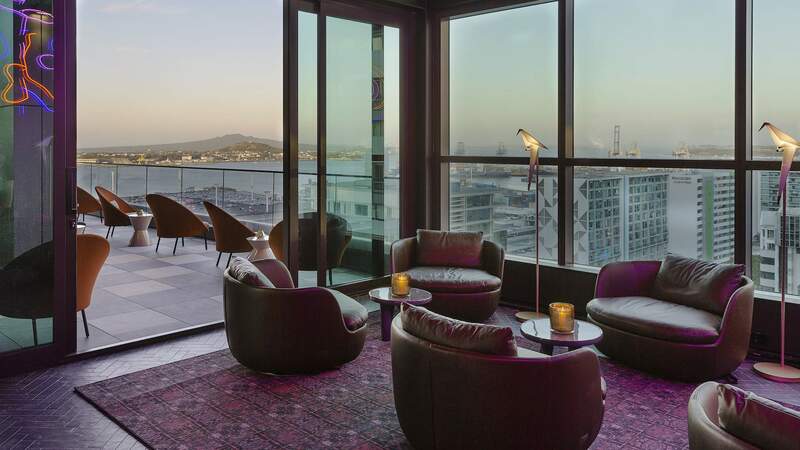 Rydges Auckland boast one of Auckland's most unexpected rooftop venues. Ten floors up, the enclosed space features panoramic views across the city and harbour. As the warmer months roll in, the venue hosts its free summer party series featuring local electronic acts and ice-cool drink specials. At the end of the working week, Champagne lovers will have the opportunity to enjoy a free magnum upgrade. Right next door to Dr Rudi's, Parasol and Swing is the more intimate choice for a sunny summer session. With the same great views over the harbour, but a much smaller deck and a more low key vibe, this is the place to duck off to if crowds aren't your jam. They also do a killer espresso martini topped with marshmallow foam that will have you floating. Last but not least, the ever pumping Tom Tom. 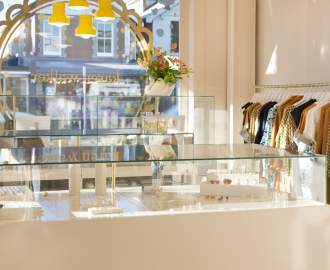 Whether you want an indulgent boozy brunch, a relaxed wine in the sun or to party long in to the night, Tom Tom will deliver. Just up the road from La Zeppa, on Drake street, the outdoor pavilion offers views of both the city and Victoria Park.